First, if you’re a beginner to online marketing, you might not understand what we mean when we say SEO. Simply put, it’s the process of making your website visible in search engine result pages (SERPs). Since Google owns more than 70 perfect of the global search engine traffic, we’re going to talk about Google only when teaching you how to excel at SEO. Google uses a proprietary algorithm with over 200 signals when choosing what webpage to show when a user Googles. Google scans every single page on the web and stores the data. When a user types something into the Google search box, Google lists in order from top to bottom the most relevant and authoritative pages to answer the user’s search query. You want to ensure your pages are written and optimized to be on the first page, yet the Google algorithm is constantly changing — and they’re never telling us exactly how it exactly works. Therefore, SEO can seem a bit of black magic. But there are common strategies that are known to work, if done correctly. Keywords are what your best customers will type to find your business and products. A strong keyword strategy focuses on attracting both customers at the bottom of the sales funnel who are ready to make a buying decision, as well as customers at the top of the sales funnel who are just doing a bit of light research. Short-tail keywords are directly about your business. For example, let’s take a marketing agency in Billings, Montana. Someone would type in “marketing agency billings” and that would be the short-tail keyword. When writing your website copy, title tags, and navigation, focus on short-tail keywords that will drive the right traffic to your site. Long-tail keywords are phrases, questions or sentences users google. Using the same marketing agency example, a potential customer might be search for “social media marketing advice.” While this potential customer isn’t directly searching for a marketing agency, they have a need that a marketing agency could address. Capturing traffic from long-tail keywords is a great way to get in front of potential customers early in their research process so you can convert them into a customer down the line. 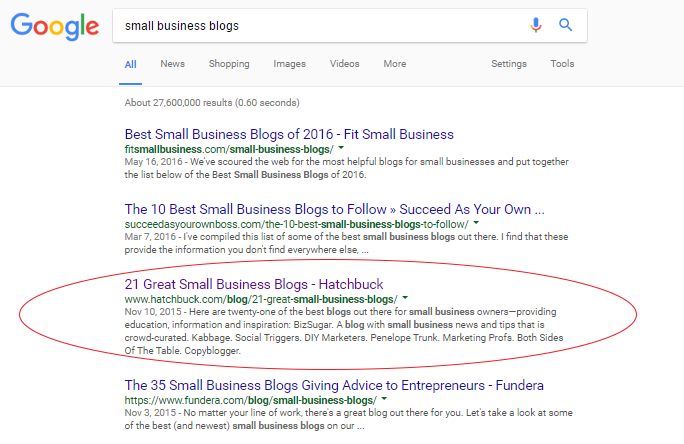 Your business’s blog is the perfect place to focus on long-tail keywords where you have more room to offer value and build trust in your brand. To understand what keywords your business should use, you want to perform keyword research before you even launch SEO tactics or a blog. Keyword research can be tough to understand. When I first started out in my career, I struggled to find clear directions and simple tools to conduct keyword research. The truth is, keyword research is not a simple task. Especially now that more and more companies are performing SEO and content marketing — search engine results have become increasingly more competitive. But, it’s worth spending time to get this right. 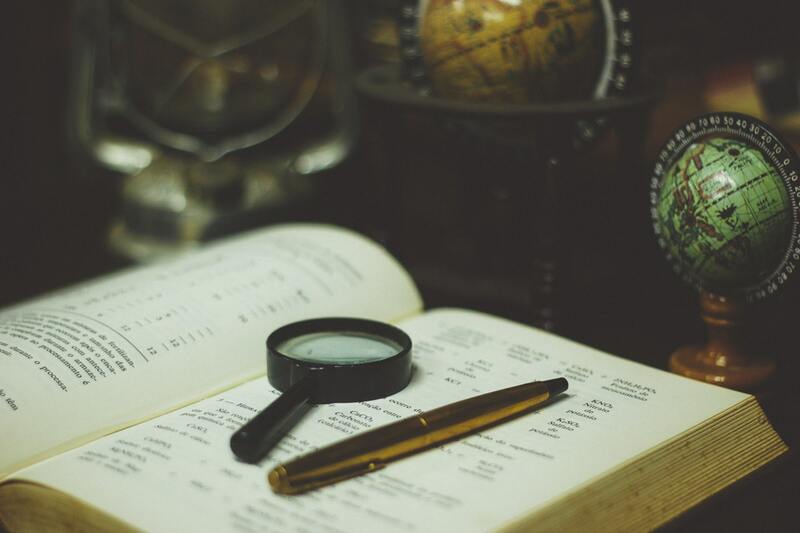 By far, the best way I’ve seen on how to thoroughly conduct keyword research is Ahref’s 19 Step Keyword Research Process will SKYROCKET your Organic Search Traffic. This process will give you an awesome list of unique possibilities to tackle, and will even walk you through creating a keyword tracking spreadsheet. This is the copy that appears in the search result as the description of your page. It also appears within the tab of your webpage. Title tags carry a lot of weight and should absolutely use your focus keywords. The same title appears in the browser tab of their home page. This refers to the headlines used on your site with the H1-H6 text formatting. H1 and H2 are most important to Google — make sure your page has a clear title using your keywords in an H1 tag. 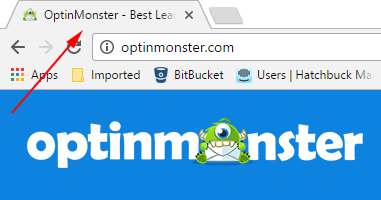 Back to our OptinMonster example, their H1 header is actually a bit lower on their page. It includes the same “Lead Generation Software” keyword that they focused on in their title tag. Use your short-tail keywords in the page copy throughout your website, but don’t overdo it. Google is smart and will pick up on keywords even if you don’t use them in every sentence (and you shouldn’t). Always keep your user in mind: does the copy read smoothly for your potential customer while also strategically using keywords throughout your pages? Bingo. 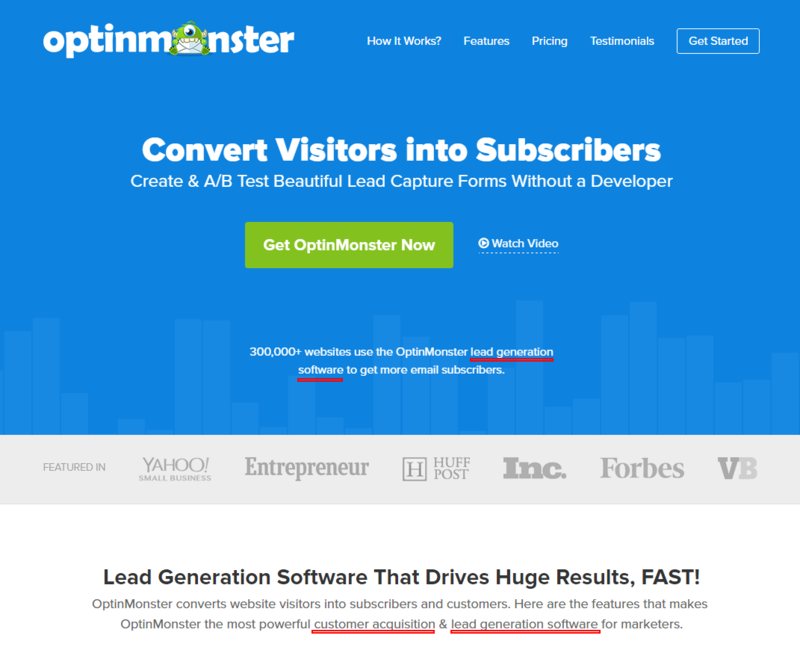 For instance, OptinMonster targets keywords like “lead generation software” and “customer acquisition on their home page copy. Notice how the copy still flows fluidly while incorporation their keywords. Your website URLs are a great opportunity to highlight keywords. You want to make sure words are separated by hyphens, written in all lowercase and use clear keywords. 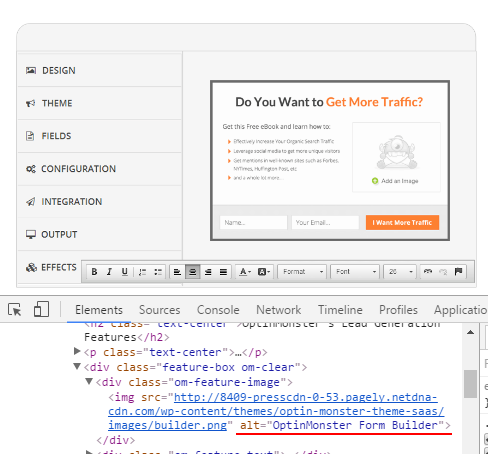 Back to our OptinMonster example, they use the url http://optinmonster.com/features/form-builder/ on their form builder page. Google image search is another place SEO matters — for every picture you put on your website, make sure you name it with the appropriate (and relevant) keywords. It’s also important to include an “alt text” tag and image “title” tag. The “alt text” tag is the text that will appear if your image does not load, telling the user what the image is. The “title” tag can offer a short description of the image. For instance, in some web browsers, the image title will appear when you hover over an image. The meta description is the two lines of text that appear below the clickable link in search engine results. It’s important to make sure you fill out meta description information, otherwise Google will choose and pull the copy directly from your webpage. Each of these parts of your website can be changed by your web developer, or within a CMS platform such as WordPress if your entire site is built that way. Launch & Maintain a Professional Blog: A business blog is the number one way to constantly create new content that features short- and long-tail keywords. The more content you create, the more keywords you’ll rank for and grow new potential customers visiting your site. I’ve seen businesses grow their traffic by more than 1,000% in 18 months by just sharing regular blog posts. Build Out Landing Pages: There are likely at least 5 – 10 landing pages that would make sense to create for your business and put within your navigation. These could describe a service or answer a question. Think beyond the About and Contact page — how can you utilize your keywords in thorough, content and multimedia-rich pages? Testimonials & Case Studies: Gathering reviews from your clients and writing testimonials and case studies are a great way to naturally feature keywords on your site. It’s also an awesome way to showcase your customer service and help potential clients understand why they should use your business. If you perform keyword research, optimize your website for SEO and create consistent, fresh content, your business will be leaps and bounds ahead in the SEO game. A great way to tell if your effort is paying off is to benchmark the keywords and organic traffic on your site before doing the above strategies, then checking in 3-6 months how much traffic has grown thanks to your SEO efforts. SEO can seem like a lofty goal for a small business, but with a little time and effort, it’s bound to pay off in big returns.